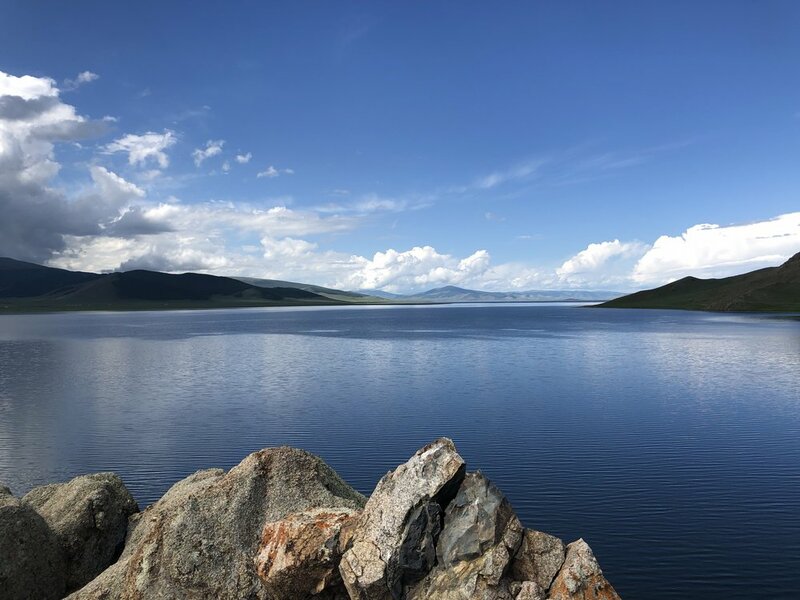 The White lake tour, our most magical tour you can join if you want to see the most beautiful waterspots of Mongolia without going all the way to Khuvsgul lake. You can view parts of this tour and its breathtaking landscapes in this short film of ours (film still shows our old bikes!). The tour is a combination of prime spots from the Orkhon tour and Khuvsgul lake tour. You will ride through endless steppes, mountains, sand dunes, rivers, visit nomadic families and the overwhelming Erdenee Zuu monastery, the earliest Buddhist monastery in Mongolia, next to Khar-khorin, the ancient Mongolian capital. Last but not least this tour also includes one day of pure sand dune riding in Elsen Tasarkhai. 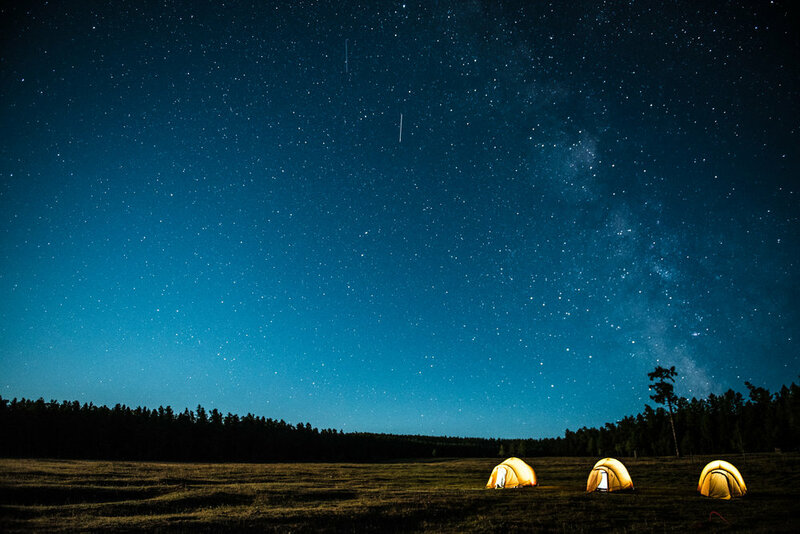 You will also camp in probably the the nicest gear camp in entire Mongolia, right next to the White Lake as well as passing by the famous Ulaan-tsutgalan waterfall, the biggest in Mongolia with a height of 26m. This tour is 95% off-road. You will be picked up from the airport and checked-in to Viva hotel (unless you have selected a different hotel during the booking) located right next to our Husqvarna showroom. In the afternoon all riders will meet our team and receive a safety briefing for the tour, followed by a 1-2 hour test ride. We will host a welcome dinner in the city center. We are heading out early morning. You will get a glimpse of what its like to ride enduro bike in the endless Mongolian steppe. We will ride to the Elsen Tasarkhai sand dunes where you will sleep in our tents, next to a warming bonfire and BBQ. 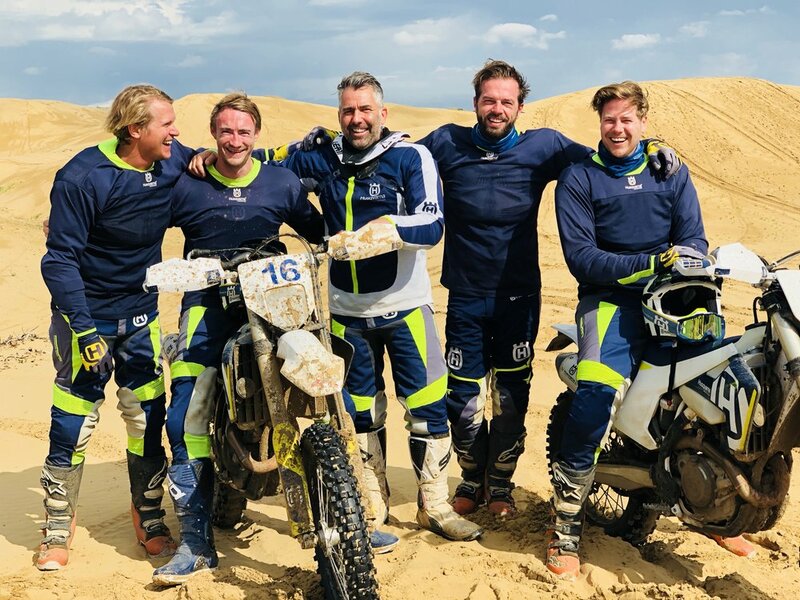 During the morning we will enjoy riding in the sand dunes. We will continue our tour to the next destination, the Orkhon River Valley via Kharkhorin, the ancient capital of the Mongol empire. The Orkhon valley landscape will blow your mind. 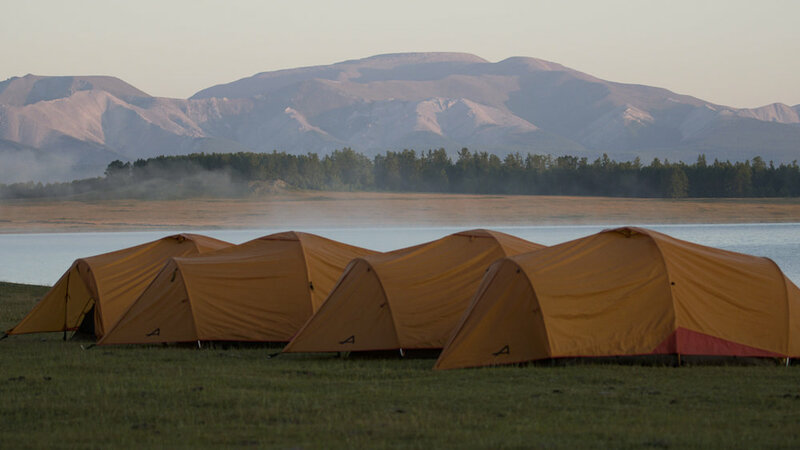 We will continue to the ger camp (Talibun), located next to a scenic canyon of Orkhon river. If you like fly fishing/spinning, its time! We start heading towards the Orkhon Waterfall, one of the most beautiful places in Mongolia. After reaching the waterfall (50km ride), we will have our lunch right next to. In the afternoon we will continue our trip to Tsenkher hot spring, where you can relax your muscles in a hot spa and open air hot ‘swimming pool’ at Khangai resort camp. One of the most beautiful parts of the tour as you will pass by the enormous Chuluut river canyon and the ancient volcano called Khorgo. 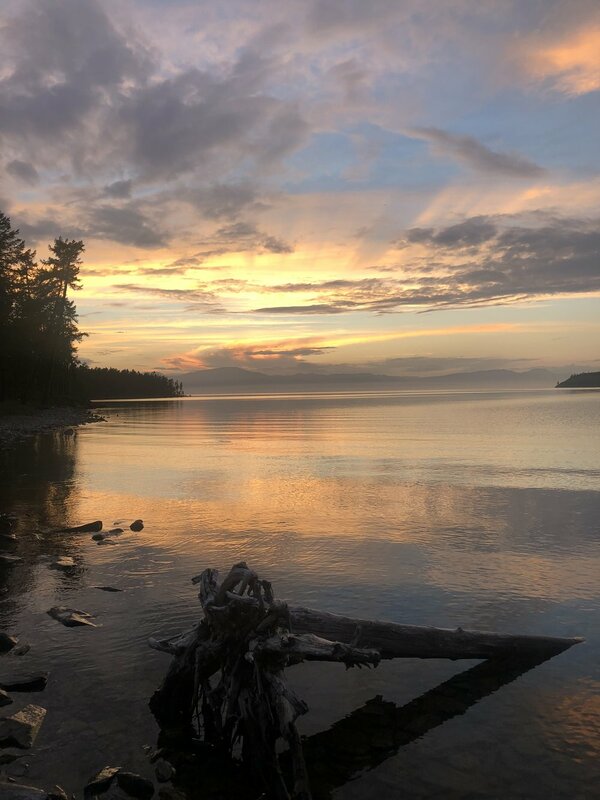 Our destination is on the shore of the beautiful lake Terkh, also called White Lake, where we will enjoy the service of Maikhan Tolgoi tour camp, its one of the nicest camps in entire Mongolia with an unbeatable location. Of course you can go and take a cooling swim in the lake too! We will start heading towards Ugii lake by crossing the seemingly endless steppe. 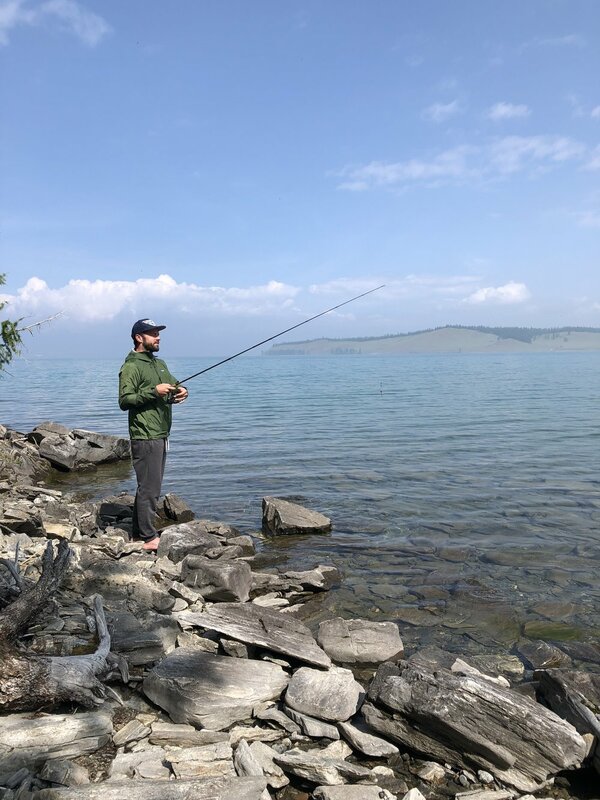 Ugii lake is a freshwater lake famous for fishing and birdlife. Enjoy the rest of the day swimming, relaxing by the lake and a nice BBQ dinner under a carpet of stars. We will sleep in our tents. The tour will continue heading to the Khustai National Park, the place where the successful reintroduction Przewalski's horse happened. Time to get back to Ulanbaatar. When we return to the city, we will have a short break and shower time. Whoever want to go cashmere shopping, we will make sure to arrange it. During the evening we take you to Ulaanbaatar’s best hot pot the restaurant for a farewell dinner. Whoever has the energy to continue is welcome to enjoy the city’s nightlife, we will show you the best places in town. Departure day, we will take you to the airport. Have a great flight and we hope to see you again during one of our other trips.